The portable combined CDS is used as universal dielectric diagnostic system on PE / XLPE insulated cables as well as paper insulated cables worldwide. It combines the known methods of Isothermal Relaxation Current measurement (IRC-Analysis) and Voltage Return Method (RVM-Analysis) for aging and deterioration diagnostics. 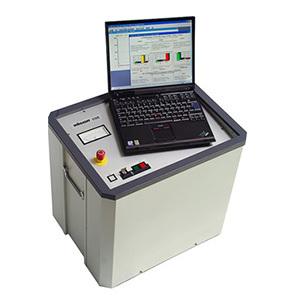 Due to the low charging voltage of the measurement the CDS works absolutely non destructive.